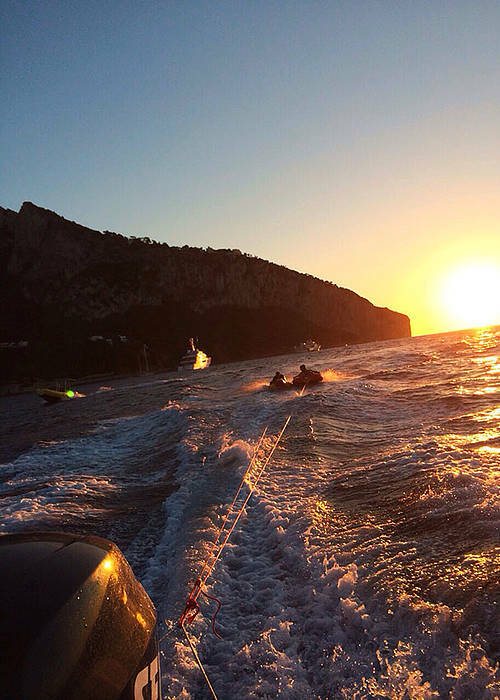 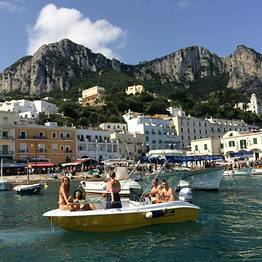 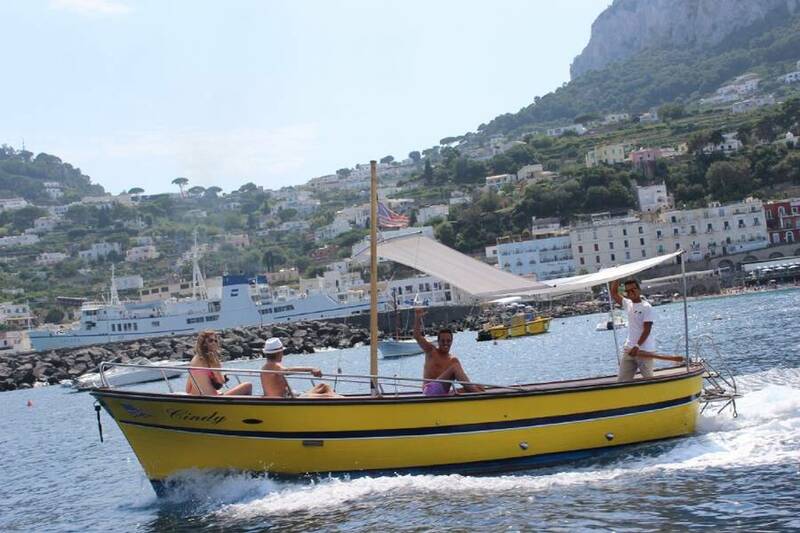 One of the first names islanders will offer up when asked the best person to take them on a sail around Capri is "Gennarino", famous for his passion for the sea which makes his company, Capri Whales, one of the finest and most reliable of all those sailing the waters around Capri. 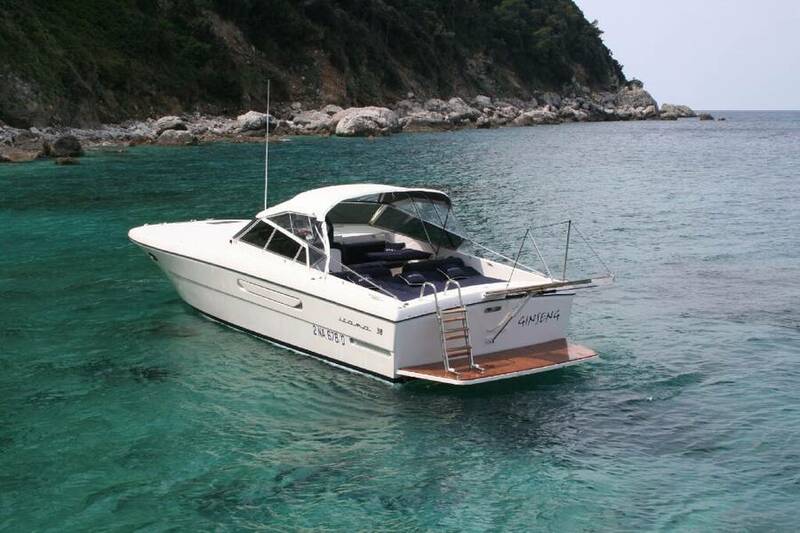 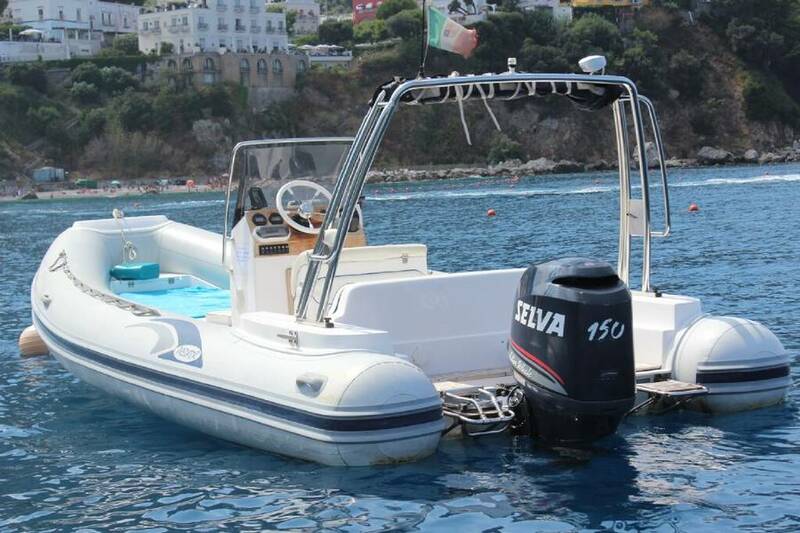 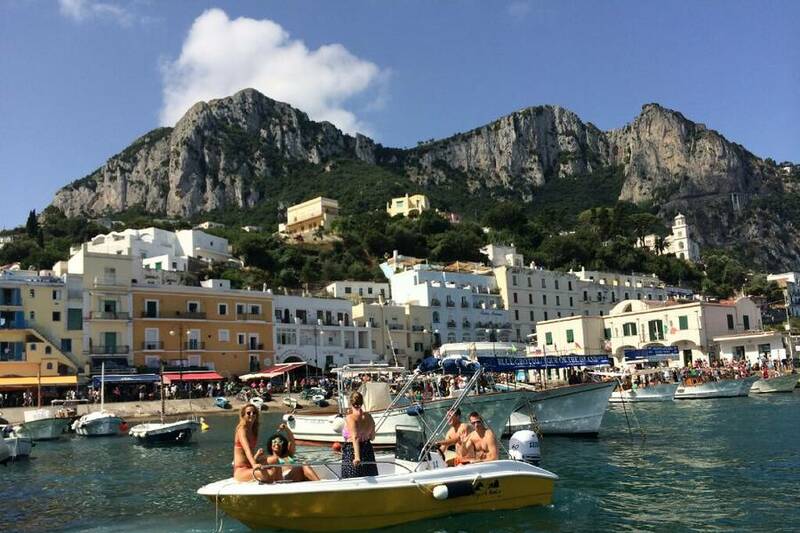 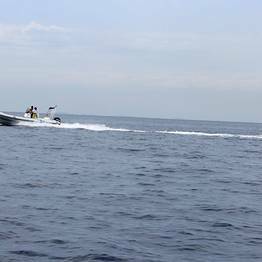 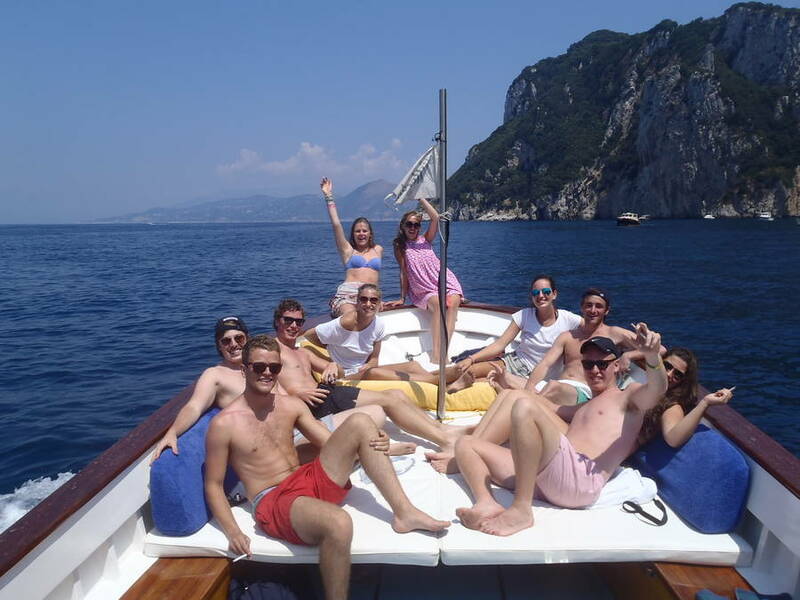 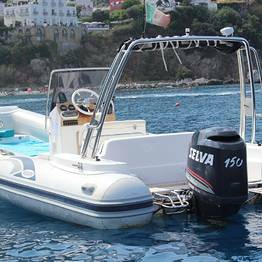 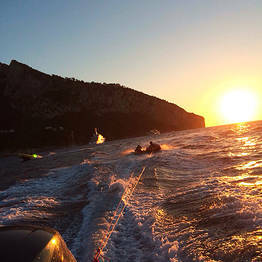 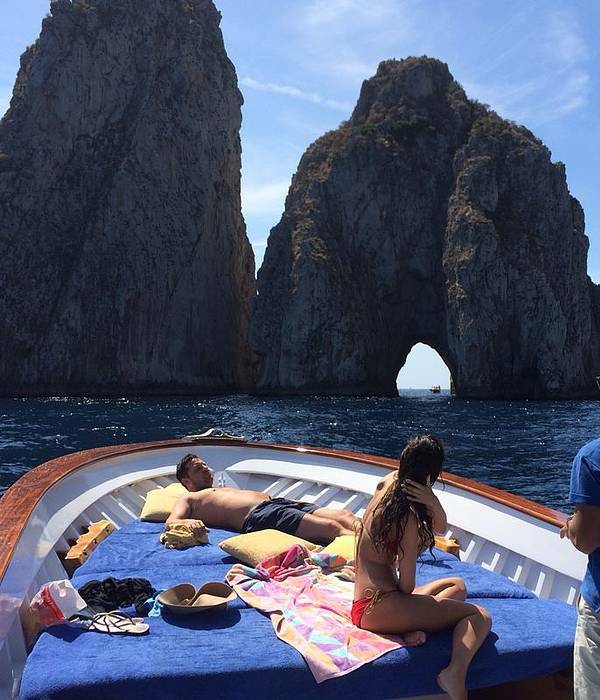 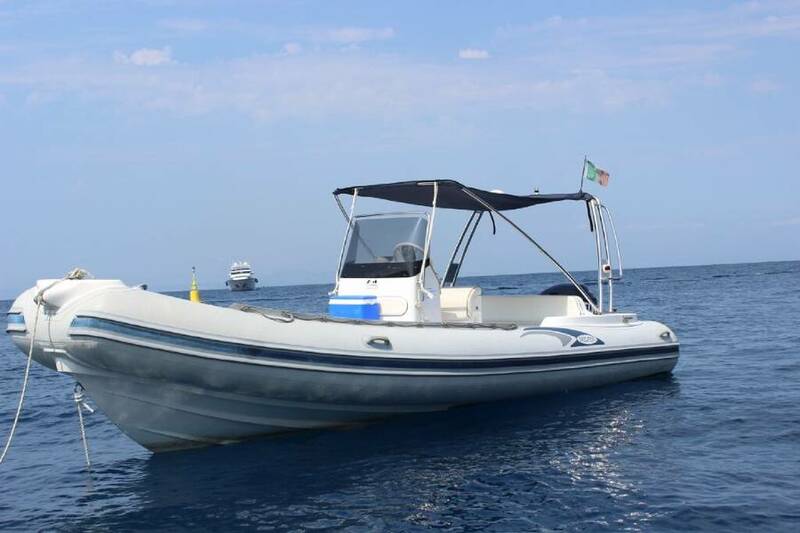 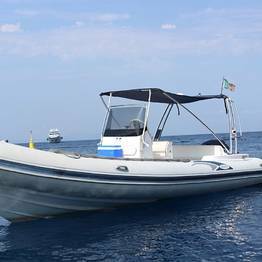 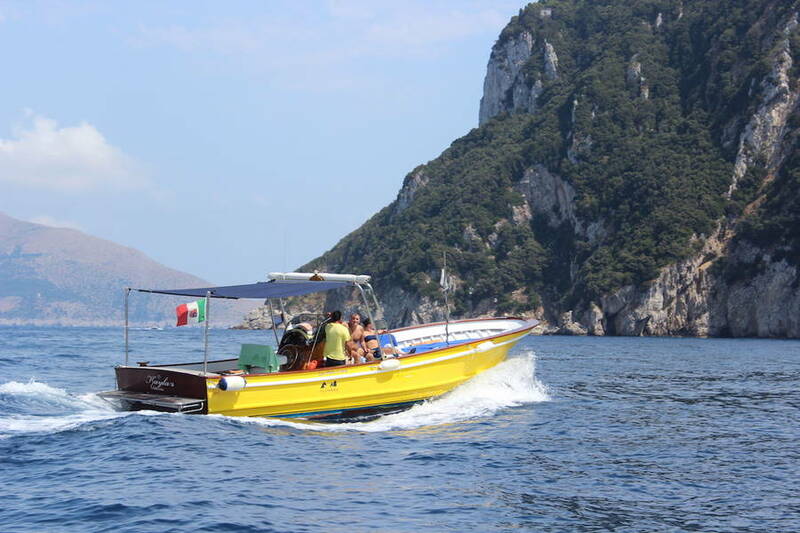 The tour around the island is a Capri classic, do it aboard one of Gennarino's boats and you'll enjoy those special touches that only Capri Whales can give you. 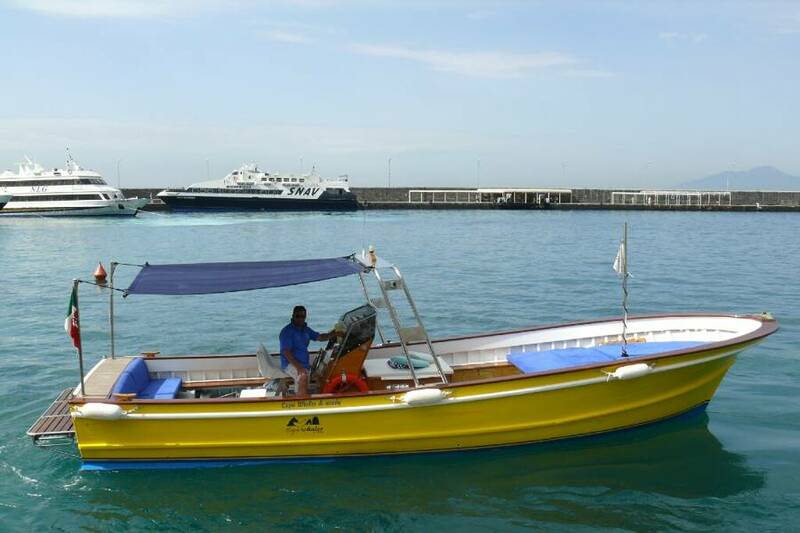 Friendly service, the professionalism of sailors who live the sea each and every day of the year, and the experience of a family which has been in the business for more than 40 years. 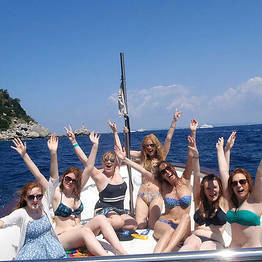 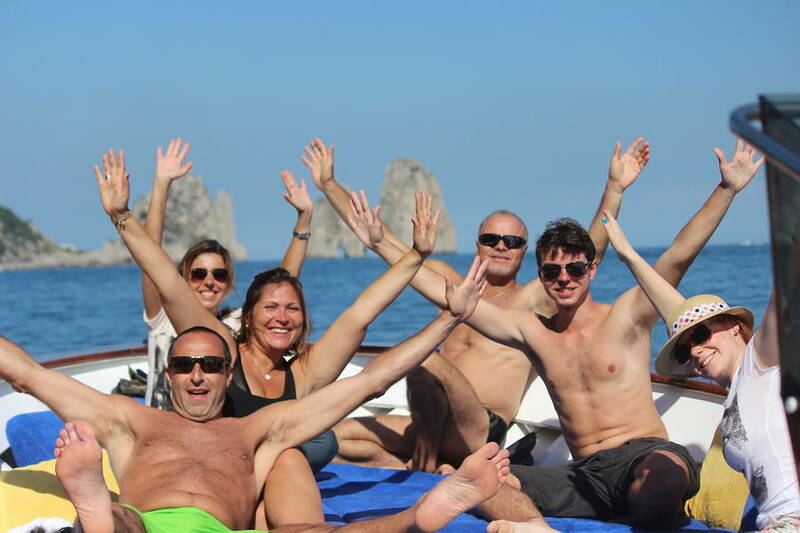 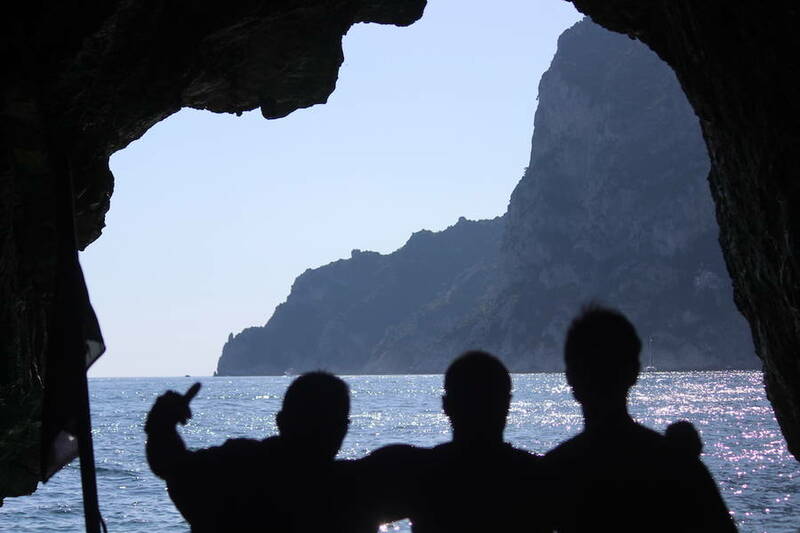 In addition, Capri Whales takes just small groups of passengers aboard and stops in the most beautiful sea caves and hidden coves so you can even take a swim in the crystalline waters off Capri! 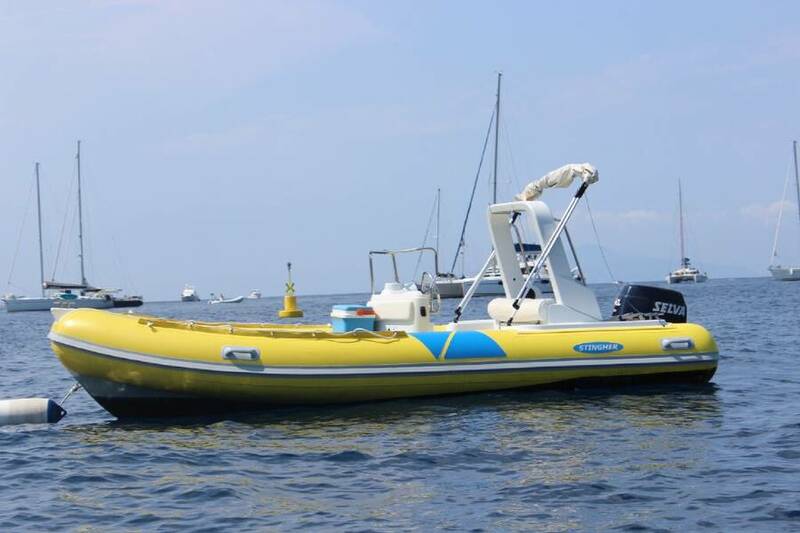 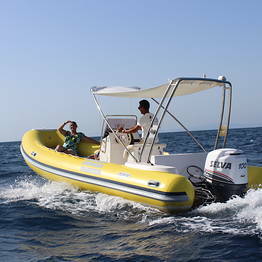 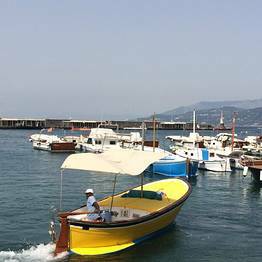 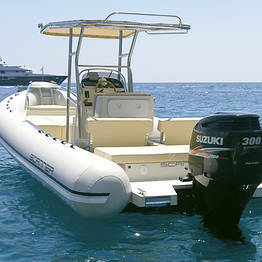 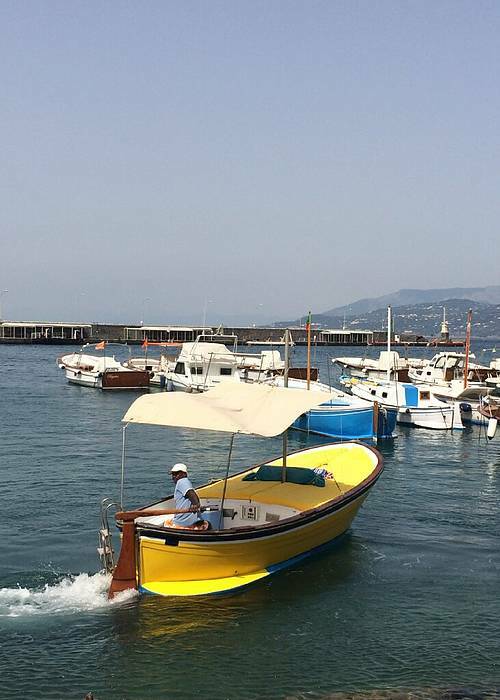 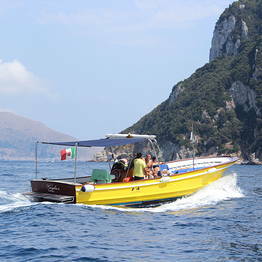 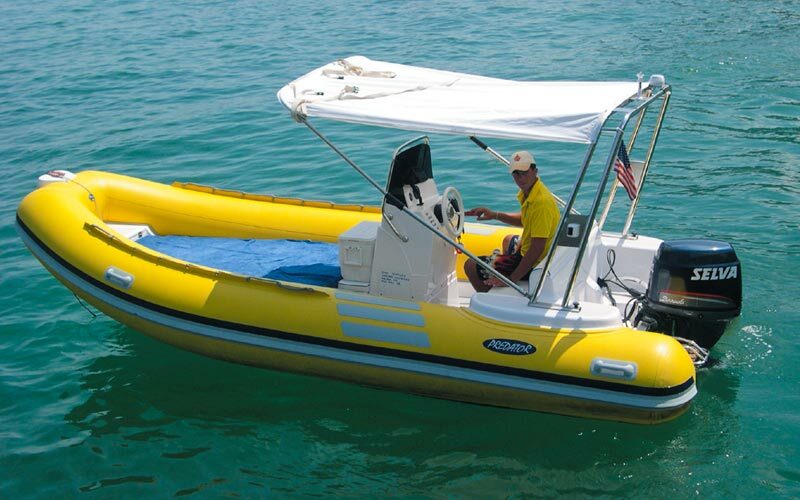 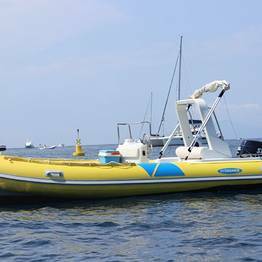 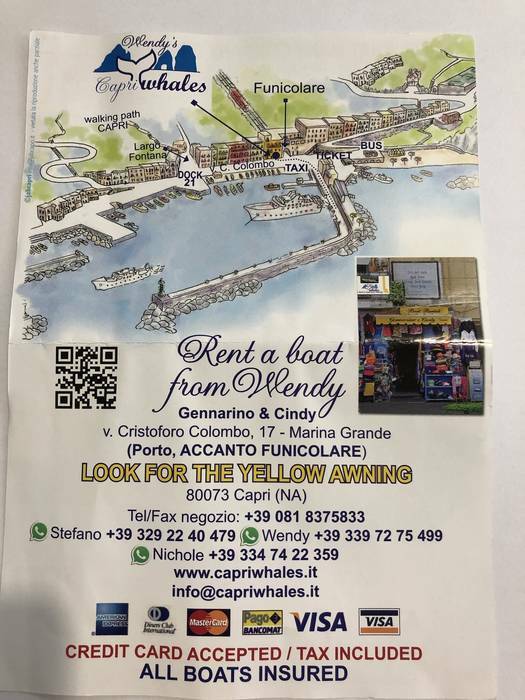 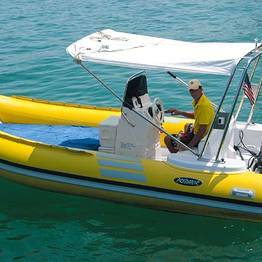 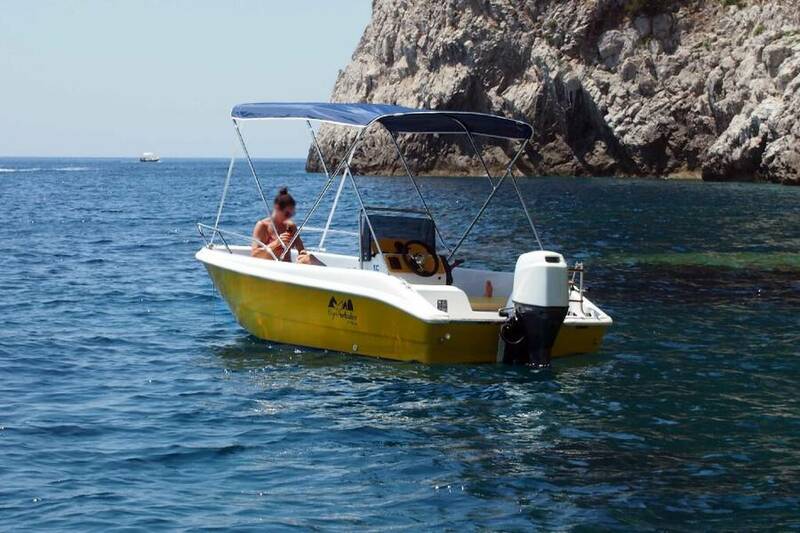 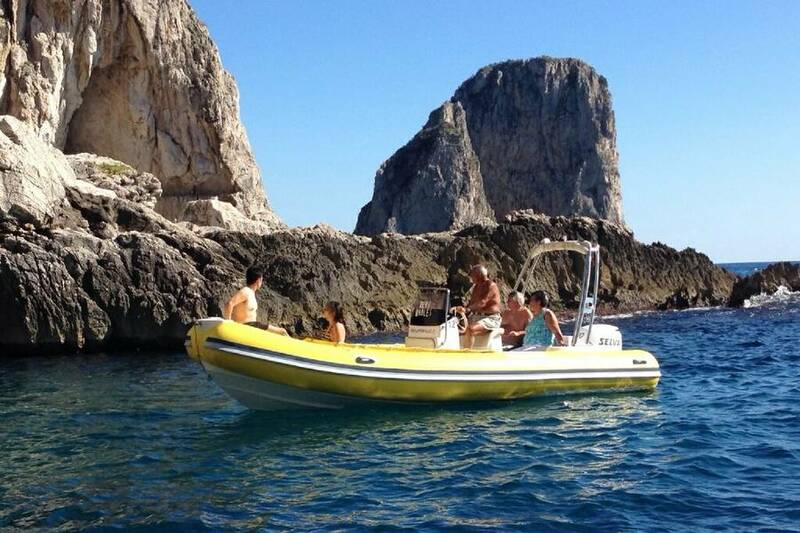 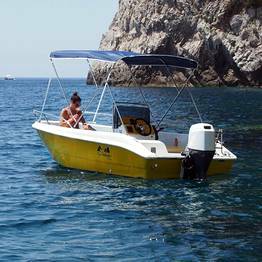 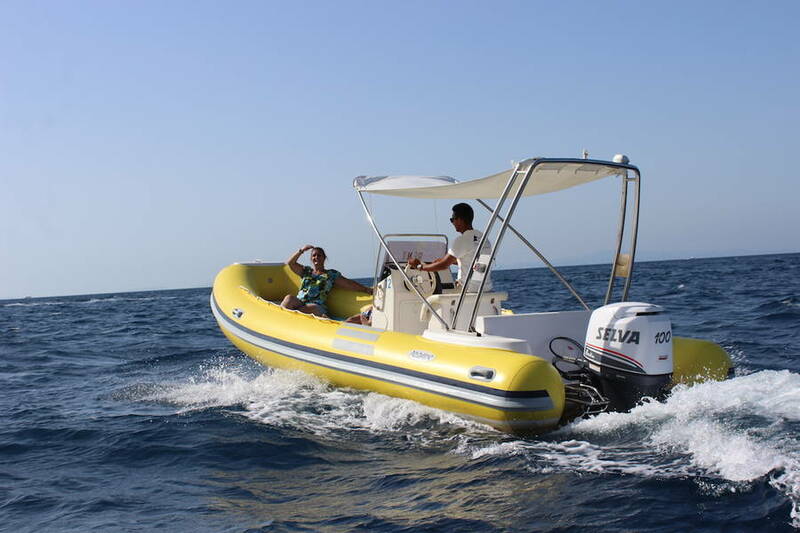 It's easy to spot Capri Whales' boats in the port of Marina Grande: all thirteen of them are painted bright yellow. 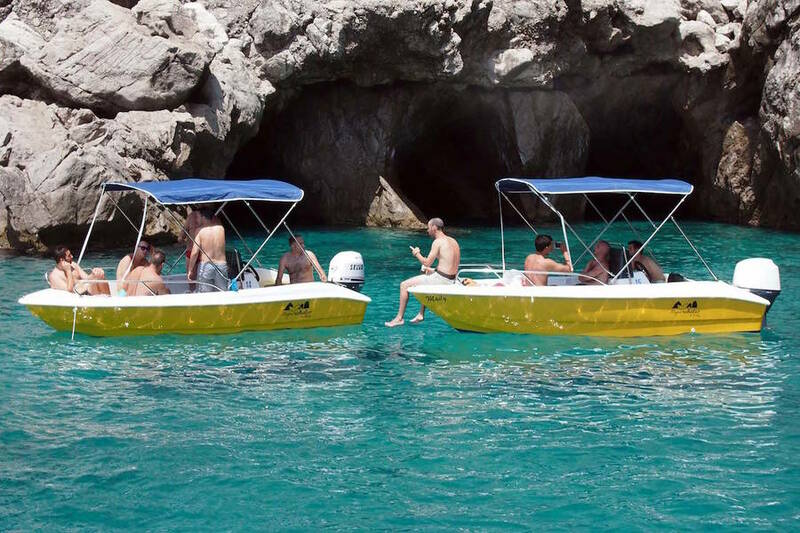 Onboard, you'll find everything you need for a memorable day at sea, from masks and flippers to beach towels and an ice box filled with cold drinks. 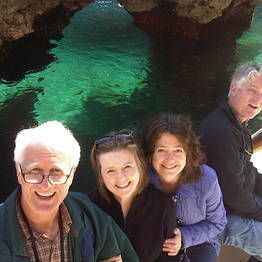 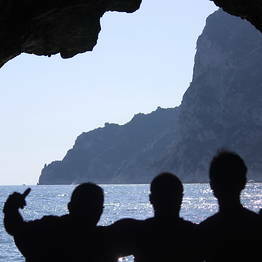 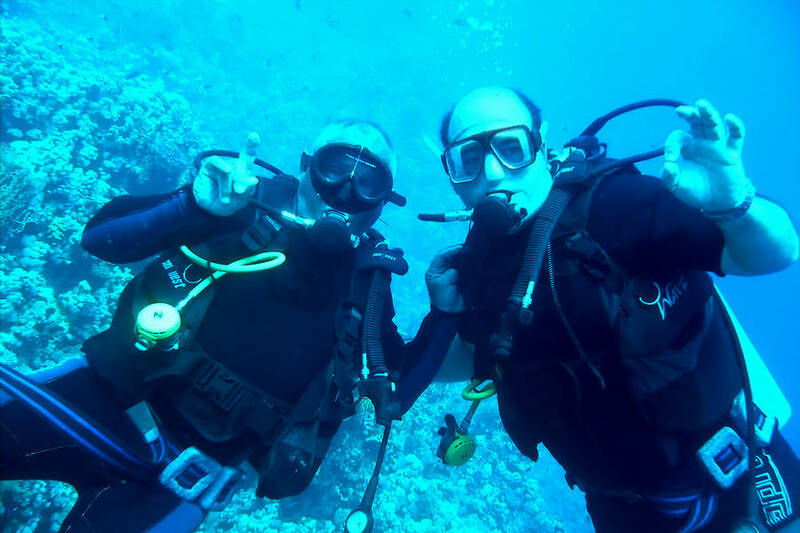 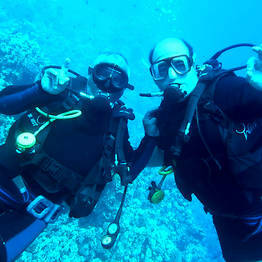 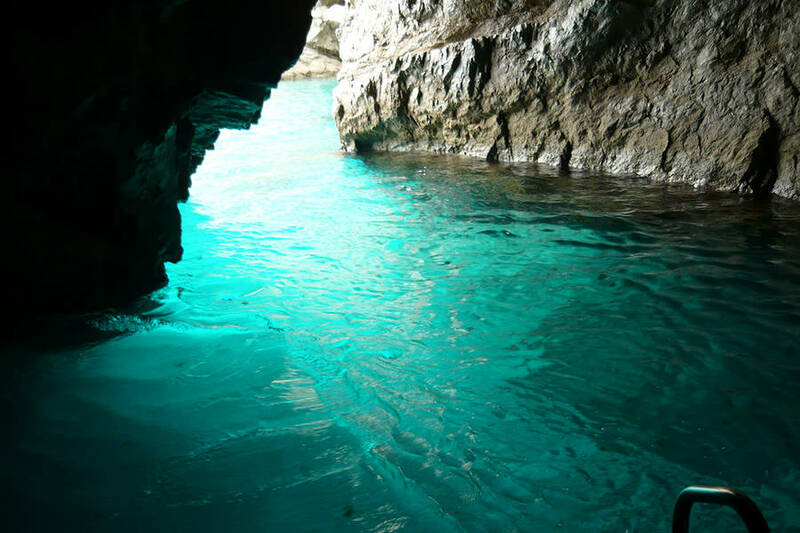 Did you know, Gennarino was one of Capri's very first underwater divers? 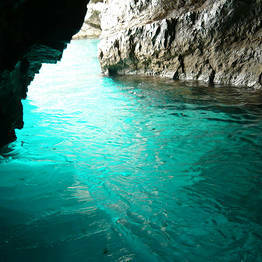 In fact, it was Gennarino who discovered the Roman statues in the Grotta Azzurra! 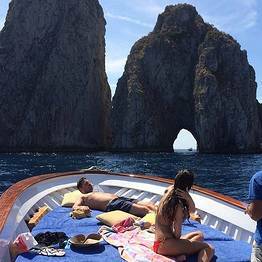 The Faraglioni, Grotta Azzurra, Punta Carena, Grotta Verde, Grotta Bianca: just some of the unforgettable sights on a trip sailing around Capri's spectacular coastline. 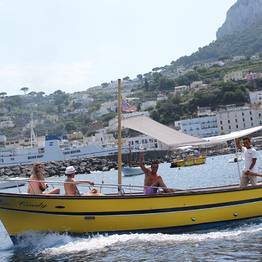 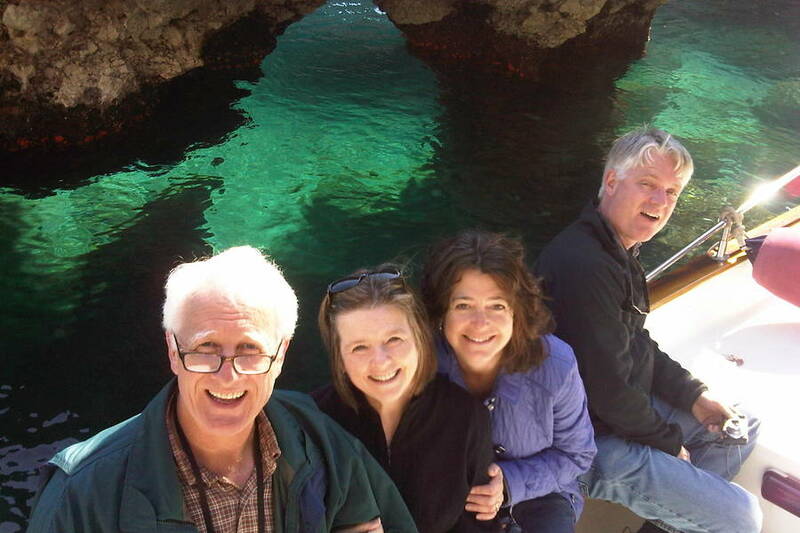 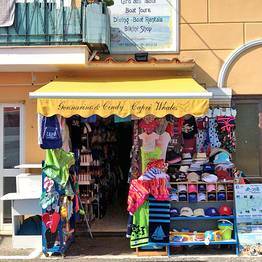 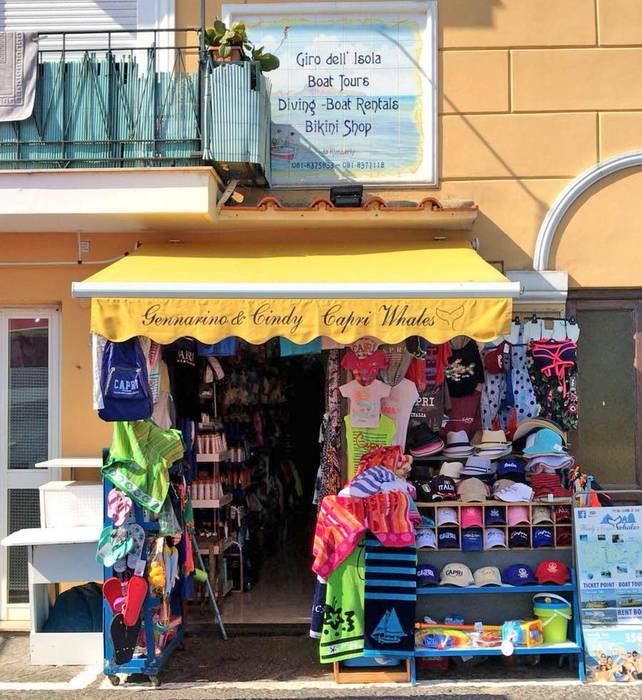 If you'd rather cruise along the Amalfi Coast, travel across the sea for a fish supper in Nerano, or sail around the island's Ischia and Procida, all you have to do is ask! 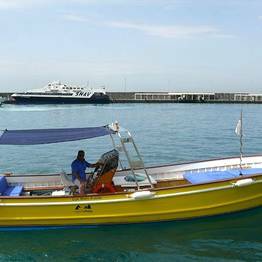 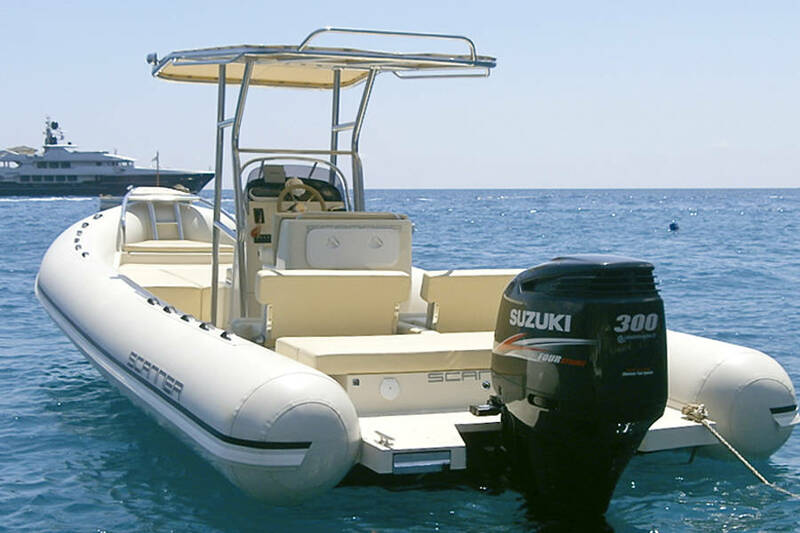 If you fancy trying your hand at the helm, you can rent a dinghy or one of the island's traditional fishing boats. 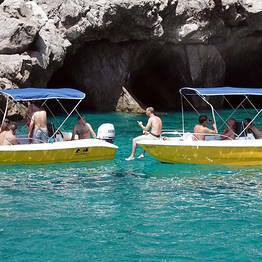 Our staff will provide you with a detailed map of all there is to see along the coastline, and help you set off!